What with the Latin American Film Festival and the beginning of the new academic year, there’s a lot going on right now. But here’s another thing: MexicoFest. “Mexico Fest began in 2008 as a celebration of the anniversary of Mexico’s Independence and has grown into the most important festival to be hosted by the Consulate of Mexico in British Columbia. Due to the growing interest the festival has attracted from the local community, MexicoFest has become an opportunity to feature some of our renowned tourist spots and a way to bring about a greater understanding of our country. “This year’s focus will be on the state of Oaxaca. The state’s capital alone is home to two locations from UNESCO’s prestigious World Heritage list: the Historic Centre and the archeological site of Monte Alban. 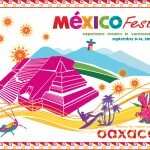 Mexico Fest 2011 encompasses one week of activities, starting on September 9th and concluding on September 14th. Last year, Mexico Fest 2010’s events were featured on local English and Spanish TV, radio and newspapers. It was also featured, for the first time, in a Chinese language publication. More than 15,000 people enjoyed the festivities, and this year, we expect to reach approximately over 50,000 with our advertising campaign.